Father’s Day shopping may be tricky, but it can be even more challenging when you’re shopping for a dad in business. After all, they can be particular about what they wear and what they use on a daily basis. When it comes down to it, dads typically aren’t as verbal as moms about their preferences, so what do they really want? 1. They are innovative. Entrepreneurs desire to innovate. They look to invest and create the next best profitable thing. In choosing a gift, it’s important to highlight the reasons why no two products are alike. 2. They are solutions-oriented. Have you ever watched Shark Tank? Billionaires such as Barbara Corcoran and Robert Herjavec have showcased the importance of a product fitting into the market as a solution. Great gifts solve problems. 3. They have an outlet. The busiest of entrepreneurs have hobbies and participate in recreational activities. Several entrepreneurs have transformed their hobbies into profitable businesses. What does your dad enjoy doing in his spare time? Is he a photographer? Does he write short stories? Is there a gift out there that matches his interests? Since Father’s day is coming soon, I’ve researched and put together a gift guide that’s sure to have one or five things a dad in business will appreciate. 1. Italian silk linen tie (J.Crew, $69.50). 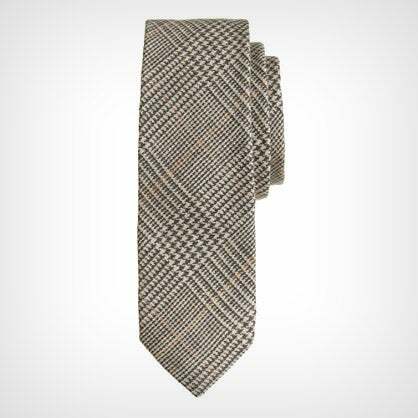 This Italian silk linen tie from J.Crew has the perfect blend of neutral tones and light fabric for any business ensemble in the summer. According to Psychology Today, ties express the wearer’s creativity, and personality -- it also conveys a feeling, situation and elegance. Bonus: Pair this tie with a comfortable short-sleeve white Irish-linen shirt. 2. Delray dress shoes (Allen Edmonds, $365). I’m no shoe expert, but these luxurious Oxford dress shoes are lined with premium calfskin leather and have single oak leather soles. According to Ask Men, the quality of shoes reveals how much a man respects himself. When it comes to picking a gift dad will appreciate, dress shoes from Allen Edmonds showcases quality and master craftsmanship. Bonus: Keep those shoes shiny and bright with Allen Edmond’s conditioner cleaner. 3. Davidoff Classics 3-count assortment sampler (Davidoff Flagship Stores, $41.95). Is your dad the type of businessman who meets with clients for cigars and a drink? If so, he’ll enjoy the Special R cigar found in Davidoff’s Classics assortment, which pairs beautifully with exotic Dominican rum. Bonus: Enter Davidoff’s contest to win dad a humidor, which will preserve his cigars. 4. Pocket Projector Mobile (Brookstone, $299.99). A million-dollar idea should be expressed anywhere. Brookstone’s pocket projector connects to your phone and displays a 1080p sharp image up to 80 inches. It’s the perfect gift for any entrepreneur who gives presentations on the go or loves to show off projects. Bonus: Purchase the travel case to protect your pocket projector. 5. The Royal Shave (Art of Shaving, $55). If you’re like me, shaving isn’t exactly fun. After all, no one enjoys the razor-bumps and rashes. 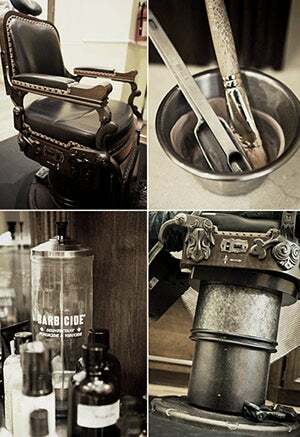 Treat dad this Father’s Day to a Royal Shave at The Art of Shaving (locations vary), which is performed by a "master barber." He’s sure to walk away rejuvenated and ready to take on the world. Bonus: Purchase a shaving starter kit at $25 to keep his skin feeling fresh. What are you getting your entrepreneurial dad this Father's Day?